Board members joined Grambling alumni and supporters in hoping the school’s newest leader will provide stability and close the “revolving door” of the president’s office. The North Louisiana school has seen three presidents in three years, losing its most recent choice when Willie Larkin resigned June 23. He had been in the job less than a year. “Ten presidents in 25 years — that’s not stability,” UL System interim President Dan Reneau said, calling it a “leadership problem” at Grambling. That has not always been the way at Grambling. The school’s first three presidents served a combined 90 years, alum Joseph Carter said. Gallot — a 1987 GSU graduate, former state senator (D-District 29) and Ruston attorney — wants to change that. Gallot was among two candidates nominated Tuesday morning for the position. His contender was Gilbert Rochon, a New Orleans native and former president of Tuskegee University in Alabama. 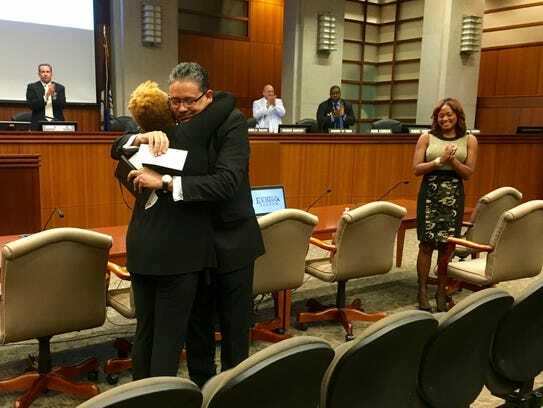 Rochon is on the president’s council for the University of New Orleans and was the “runner-up” from the last Grambling presidential search, which wasn’t too long ago. He joked Tuesday that he was “delighted to experience deja vu” in coming before the board another time. If Gallot was the political candidate, Rochon clearly was the academic. He graduated from Xavier University, Yale University and the Massachusetts Institute of Technology and spent much of his career in environmental health research. “I realize I am a nontraditional candidate,” Gallot said, pointing to his career in law and the legislature rather than in academia. “Grambling does not need a leader in an ivory tower (or) a leader who takes a year to learn everyone’s names,” he said. He touted his relationships with powerful players in state and national politics as a way to accomplish goals for GSU and the UL System. He also talked of his “record of service” with the university and Grambling community; he began as an adjunct professor after he graduated law school and continued to his time as a Grambling City Councilman and later a state legislator. “The last 26 years I have been serving the Grambling and Lincoln Parish area,” he said. His donation Tuesday wasn’t his first time to give of himself to his alma mater, he said. Gallot does not have a start date yet, as the board now will negotiate his contract. 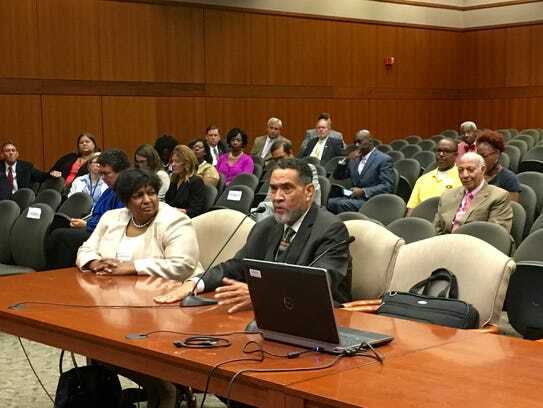 He wants to “hit the ground running,” and high on his list of priorities is reinstating Grambling’s undergraduate nursing program, which was discontinued in 2015 after the state nursing board pulled its approval of the program. This would not only help increase enrollment, but also the school’s national brand, he said. “We’re ready to get to work,” he said. He also wants to use his “bridge-building skills” to mend fences among faculty, staff and alumni and rebuild relationships with local and national partners. “In terms of local relationships, we’ve had support historically from partners who simply have not gotten the call (recently),” Gallot said. “We have relationships right at home that have to be rekindled” as well as national partners, he added. The Board of Supervisors also was expected to name a system president Tuesday, but that was removed from the agenda after one of the two finalists dropped out of the running Sunday, according to a UL System spokesperson. Former Texas Tech University President M. Duane Nellis removed himself from candidacy for the position, the spokesperson said, leaving only Uroyoan R. Walker-Ramos, president of the University of Puerto Rico System. Walker-Ramos will remain a finalist position, and the system likely will reopen the application and nomination process. In the meantime Dan Reneau will remain interim president of the UL System, a position he has held since December after the resignation of former President Sandra Woodley.